As utilities in the world’s fifth-largest economy prepare to implement this mandate, the focus now shifts to efficiently and cost-effectively integrating renewables, non-carbon emitting power sources and potentially large amounts of energy storage with the state’s existing grid. Using this clean electricity to reduce emissions from the transportation and building sectors will be critical given an executive order, issued the same day SB 100 was signed into law, calling for the state’s economy to become carbon-neutral by 2045, which may also result in more aggressive greenhouse gas reduction goals. Southern California Edison and other utilities initially opposed Senate Bill 100 in an effort to urge the legislature to explore more reliable, cost-efficient and effective approaches to achieve the same goals, such as a portfolio that leverages renewable and carbon-free energy with energy efficiency and efficient electrification that reduces fossil fuel use in transportation and other applications. “We believe there are ways to achieve clean air and greenhouse gas reduction goals while maintaining reliability that would have lower cost impacts to utility customers,” said Pedro Pizarro, president and CEO of Edison International, the parent company of SCE. “As we now turn to the implementation of SB 100, we look forward to working with our regulators, other utilities, and stakeholders to ensure the law’s requirements are applied in a manner that is sustainable and ensures the cost-effective, reliable delivery of clean energy for customers. SB 100’s goals are broadly consistent with the targets set out in the company’s Clean Power and Electrification Pathway. 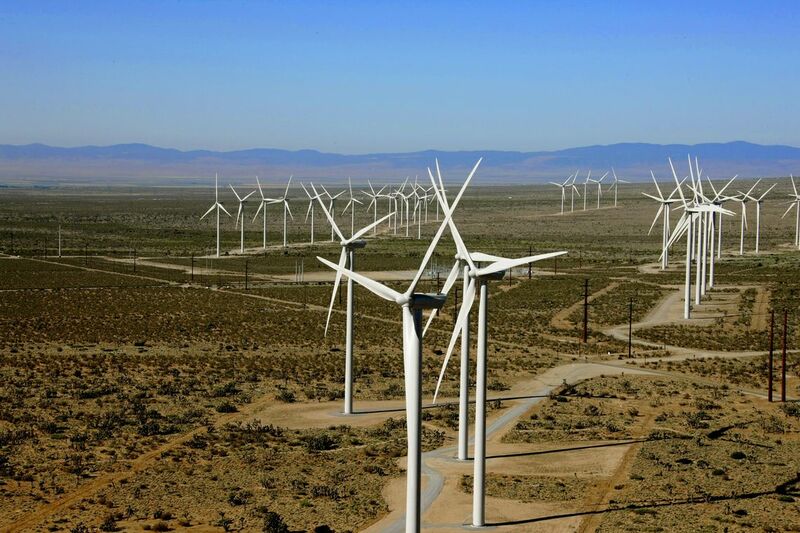 The state’s power sector is responsible for one-fifth of California’s emissions. Successful implementation of SB 100 will not be enough – on its own – to reach the state’s interim goal of improving air quality and reducing greenhouse gas emissions to 40 percent below 1990 levels by 2030. Critically for California, the transportation sector — including cars, buses, medium-duty and heavy-duty trucks and industrial vehicles and equipment — accounts for 45 percent of the greenhouse gas emissions that cause climate change and more than 80 percent of its air pollution. More than 7 million electric vehicles and more than 200,000 electric trucks and buses will be needed by 2030 to meet the state’s clean energy goals. A study by the California Energy Commission estimates that high electrification in both transportation and buildings is the most cost-effective strategy to meet 2050 GHG reduction targets. That study, which aligns with SCE’s Clean Power and Electrification Pathway, finds that by 2035 all new light-duty vehicles need to be battery electric, plug-in hybrid electric or hydrogen, and by 2040 all new water and space heating need to be electrified. These changes would require a significant reduction in the use of fossil fuels in the transportation sector and in commercial and residential buildings. California’s utility sector has already made exceptional progress, with investor owned utilities providing increasing levels of clean energy. In the past five years, SCE has prevented 2.4 million metric tons of greenhouse gas emissions — equivalent to taking 500,000 cars off California’s roads. Last year, SCE customers received 32 percent of their power from renewables and nearly 50 percent of their power from non-carbon-emitting sources. SCE has also made significant investments in energy storage, a move that promises to further reduce fossil fuel use and facilitate the transition to clean technologies.